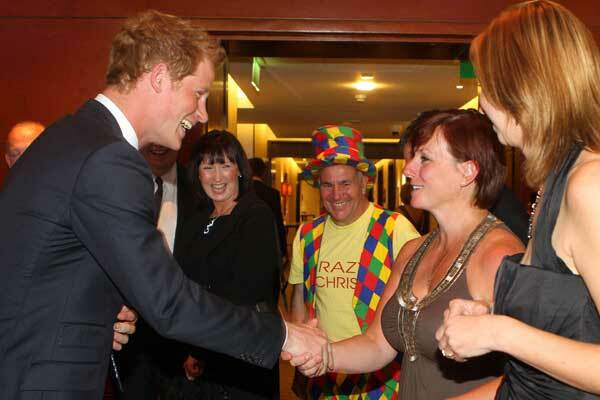 HRH Prince Harry continues laughing at another one of Crazy Chris’ jokes. 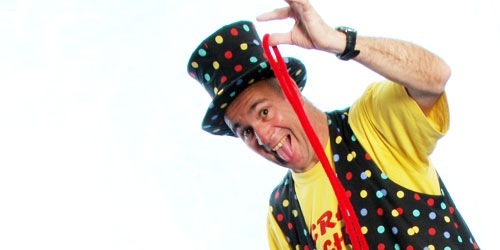 Crazy Chris is an amazing entertainer who can memorise over 30 children’s names in a matter of minutes. Thus ensuring that every party guest is made to feel special as well as the Birthday Boy or Girl. Crazy Chris is a member of The Magic Circle and a highly skilled magician. Not only does his young audience gasp with amazement but Crazy Chris’ quick wit and comical routines has the kids rolling with laughter from start to finish. The Crazy Chris Show features a variety of fun activities for all to enjoy, including Magic, Juggling, Audience Participation, Balloonology, Plate Spinning and a Disco with flashing lights. 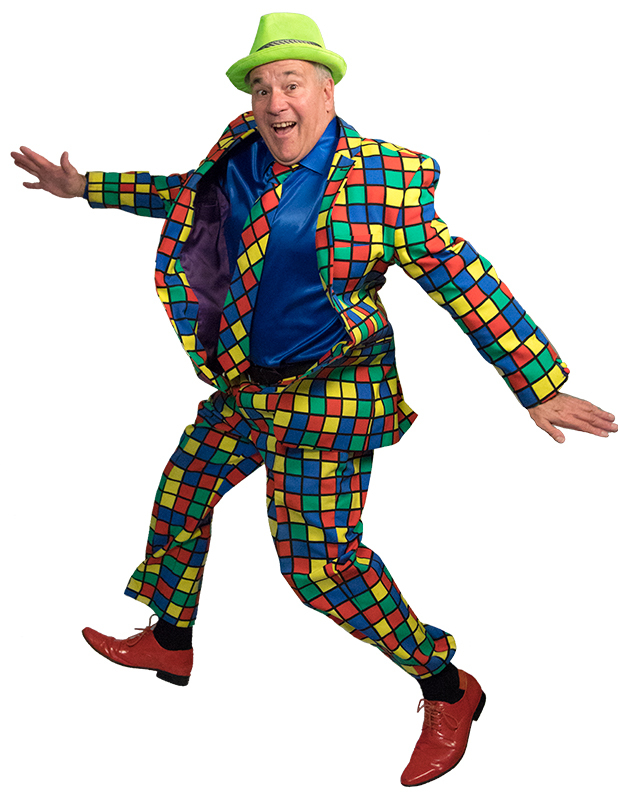 As an experienced entertainer Crazy Chris has travelled the world and has entertained royalty and celebrities. He has made several TV appearances including being featured on BBC TV’s Eastenders. Crazy Chris’ jovial personality makes him an increasingly popular entertainer. 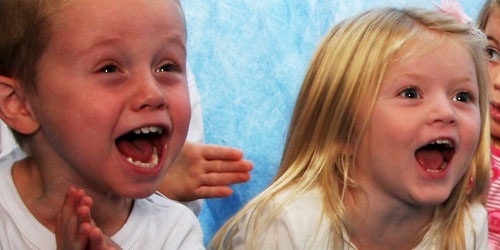 Crazy Chris is often booked several weeks in advance, so if you planning on having a party to celebrate your child’s birthday please phone Crazy Chris today. 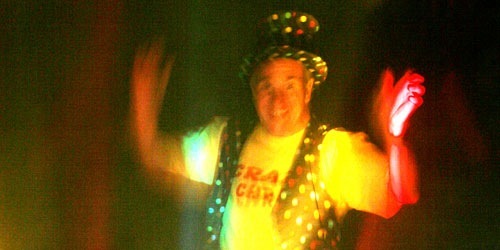 Crazy Chris is the magic memory man who will make your child’s party memorable for years to come. 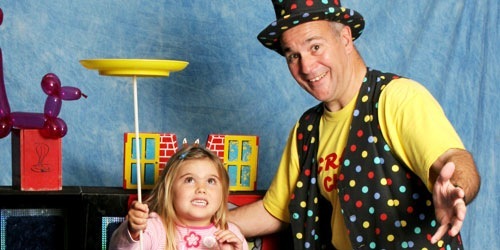 Crazy Chris performs amazing Juggling, Balloonology, Disco and Magic Shows in the Staines and Ascot area. Thank you for entertaining both the children and the adults on Friday. 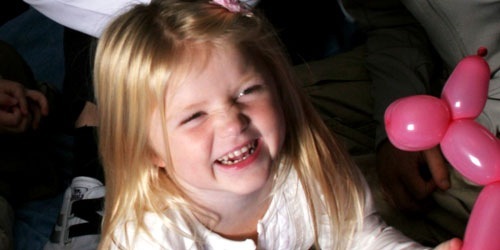 Lulu really enjoyed her party, and as she asked for a "funny man", it could not of gone any better! I have had a lot of positive feedback from mothers and children alike and would not hesitate to recommend you in the future. Thank you for putting so much effort into making the party a success.